Want to get more reviews for your self-published book? First, the good news. There are LOTS of bloggers and reviewers who publish reviews of self-published books. That means you have plenty of opportunities to gather book reviews as an independent author. The bad news is everybody and their brother (and mother!) wants in. So the experts here at Self-Publishing Relief know that you’ll need to give your pitch every possible advantage in order to get more reviews for your self-published book from book review websites and bloggers. And to do that, you’ll need to make a good first impression. Introduction. Make your point, fast—or you’ll lose your reader’s attention. I’m a writer living in [name of a town] and I’m so thrilled to be on the cusp of releasing my debut book, [title here]. Please accept this advance copy of my book; I hope you will find it is worthy of a read and a review! A highlights reel (aka synopsis). You can use the same summary that you plan to publish on the back jacket of your book or on book retailer websites. Keep it short, evocative, fresh, and emotional. While memoirs and novels are often best introduced through classic “teaser” book blurbs, collections of poetry or stories are often summarized through detailed endorsements or review quotes from other writers. Review quotes and endorsements. If you already have a few positive reviews and endorsements, include very short snippets (you know, just the juicy bits)! Few readers have the patience to read full-length reviews. Learn how to get a book endorsement from a famous author. Special considerations. Include any factors that will make the book uniquely interesting to the book reviewer in question. For example: If the reviewer has a particular interest in books set during World War II, work that angle! About the author. Take a personal, first-person approach to your abbreviated author biography: Include your formal publishing credits and accolades, but also be sure to mention what makes you an interesting “character” in your own right. Mind your Ps and Qs. Write closing lines that are authentic and warm as you thank the book reviewer for his or her consideration. Offer to follow up. In the closing lines of your letter, also mention that if you don’t hear from the book reviewer within a certain time frame (two weeks or so), you’ll be happy to follow up. Sample press release. Often, bloggers and other media outlets like to publish press releases that arrive directly from publishers and authors. Publishing a prewritten press release is a great way for editors to offer new information to readers without a huge outlay of effort. Make sure that your press release is well written and easy to share. Brag. Now is not the time to hide your light under a bushel. The point of a press release is to prove your book is worth reading. If you have accolades—promote them! Have any amazing media outlets reviewed your book already? Any upcoming interviews or book talks you can mention? Share the buzz! Tie in with a current event. Book reviewers may be more excited to share “news” rather than “information.” If your book ties in to news trends or a local interest story, deftly peg your book launch to current affairs. Include a very short synopsis. The back jacket blurb on your book is sufficient, but in order to keep your press release under one page, you may need to tighten it up a bit. Write good PR. Writing a good self-published book is very different from writing a good press release that encourages reviews. A press release must be well organized, succinct, and written according to AP style. It should (of course) be typo-free. When in doubt, ask a professional to create your press release for you. At the very least, work with an expert proofreader. Include contact info. Include all of your contact information (including your author website URL) in your press release. A press release could inspire a book reviewer to pick up the phone to verify facts or to interview you for a full-length feature article—and he or she will need to know how to reach you. Learn more about how to write a press release for a self-published book. High-quality PDF or print copy of your book. If you’ve been invited to send a copy of your self-published book for review, be sure that what you are sending is top-notch. That means perfect formatting, no typos, and high-quality production. JPGs of your book’s cover art. 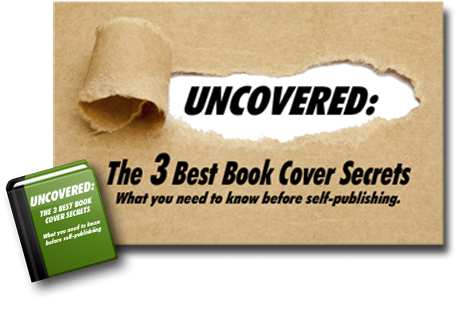 Your book’s cover art may be included on the front page of your manuscript, but book reviewers like to have a stand-alone image to easily share in print and online. HELPFUL HINT: If you are approaching an online-only book reviewer, be sure to send a Web-friendly image (no more than 72 ppi). If you are approaching a print publication, be sure to include high-resolution (300 ppi) images as well as Web-friendly sizes. An “About me” bio page. Most of the time, writers use their author bios to do nothing more than share their formal publishing credits—sometimes they share a line or two of personal information. But for self-published authors, a biography shouldn’t simply be bland information: It’s a marketing opportunity if you use it correctly. In fact, your author bio might be the most powerful weapon in your book promotion and marketing arsenal. And if you don’t know why, then you should read this article about personal branding right now. Seriously—go ahead. We’ll wait. Your author bio is an opportunity to convince reviewers that your self-published book deserves their attention. Show off your social media numbers (fans/followers), website traffic stats, number of 4/5 star reviews (or rate of reviews), and any other information that indicates you are an up-and-coming author that EVERYONE is going to want to talk about. Learn more about how to make the most of your author bio as a self-published writer. Research, research, research. Avoid sending your self-published book to reviewers who probably aren’t going to like it. In a best-case scenario, they will ignore you, and you will have wasted everyone’s time. And in a worst-case scenario, they will publish a scathing review about your book (just because it’s not their cup of tea). Keep records. Not only will you need to remember who received your book review request (and when) so that you can follow up at some point, but you’ll also have this information handy when you release your next self-published book and you’re on the hunt for more book reviews. Query first. A brief query—before you send your entire media kit with a copy of your book—is appreciated by book reviewers (and sometimes it’s required). Read over submission guidelines, then query as indicated. Your query letter should be very short and to the point: It should ask if the reviewer would consider your self-published book for review, share a short overview of the book itself, and include a little bit of information about you, the author. And of course, it should always say thanks! You could even use the galley letter from your press kit. Send when invited. If a book reviewer gives you the green light, go ahead and fire off your manuscript and marketing materials according to submission guidelines. Give yourself a high-five for being prepared and avoiding unnecessary delays! Check in. After a few weeks, follow up to be sure that the book reviewer or blogger received your packet. Ask if there’s anything else they need or anything else you can do for them. Say thank you (no matter what). You may find that your request for a book review is totally ignored. You may find it’s turned down. You might get a great review, or you might get a not-so-great one. Whatever the case, be sure to thank the book reviewer for his or her time. You never know who you’ll cross paths with at another time. Self-published books are often reviewed by professional book review websites, literary magazines, and book bloggers. We’ve compiled a list of some websites that will consider self-published books for review, but keep in mind that policies change all the time. Check guidelines, do your research, and always make sure to gather as much information as you can before sending out an inquiry requesting a book review. Please note: Not all of these book reviewers are free. You may be required to pay for the services of a professional book review company. The Independent Book Publishers Association purportedly offers resources that include lists of possible book reviewers for self-published authors (as well as other great connections, like booksellers and librarians, etc.). However, the resources are available to paying members only. Although big-name, recognizable book review companies may be backed by lots of branding, mid-size and small book review outlets and bloggers can have a HUGE impact on your book’s reputation. The following websites offer lists and databases of book reviewers and bloggers. Some of them are free! Find the top Amazon book reviewers in your genre. You may need to do some research to find the most followed/liked reviewers on Amazon, but don’t discount the power of these opinion makers. Learn more about how to get more reviews from top Amazon reviewers. Do a Google search for book bloggers specific to your genre and interests. Keywords to search include: book blogger, e-book reviews, book reviews for “add the name of your genre,” e-books, etc. Join a writing association and start asking around for recommendations. Search social media platforms (like Facebook, Instagram, and Twitter) to find book reviewers in your genre who have large followings. Query your local media outlets to gauge interest in a review of your self-published book: Reach out to newspapers, online local interest blogs, regional magazines, local organizations that might take an interest in reviewing your self-published book, etc. Find a self-published book that is similar to yours (it will help if it’s popular or successful) and check out which book reviewers and bloggers have “blurbed” the book. Then, reach out to those book reviewers about your self-published book. Seeking out reviews from professional book reviewers is one way to broaden your marketing outreach. But don’t underestimate the power of regular, everyday readers who like to post reviews on websites like Goodreads, Google, and Amazon. More often than not, the reviews that are posted by book lovers are the ones that can make or break a book’s future. After all, word of mouth is a powerful force behind the success of many self-published books. And sometimes professional book reviewers can be inspired to turn their attention to a self-published book because of “amateur” book reviews posted on retail websites. Ask for reviews in your self-published book’s back matter. Some people just don’t realize how important reviews are to authors. So tell them! Include a personal letter at the end of your book asking readers to write and post honest book reviews for you. Ask for reviews via social media. Reach out to your fans and followers on social media to ask them to review your book. Friendly little reminders and requests can help spur readers to take action. Sometimes people need to be reminded more than once, so don’t be shy about gently nudging! Ask friends and family to leave (honest) reviews. Send a personal email to your family and friends and ask them to review your book: Remind them that they don’t need to write a lengthy review—a few sentences will do! Get active in Goodreads groups. Sometimes it’s okay to post free book review opportunities to everyday readers in preexisting Goodreads groups. But be sure to check the group’s guidelines so that you don’t step on any toes! One Big Caveat: Don’t incentivize review requests. Even though it’s acceptable to pay large book review outlets for book reviews, offering individual readers and fans an incentive for leaving book reviews is frowned upon in the publishing industry. In other words, don’t create contests that require readers to write book reviews; don’t offer drawings or prizes to inspire reviews; don’t offer to pay. Instead, let your heartfelt plea to individual readers be the sole incentive to leave review feedback about your book. Here are Amazon’s book review policies, which are similar to other retail outlet policies about asking customers for book reviews. Many websites will remove book reviews that do not follow guidelines. What Can You Do With Your Self-Published Book’s Reviews? By spreading the word about great reviews of your self-published book, you can introduce readers to your story, show proof in the form of written testimony that your book is worth buying, and reinforce your author branding. Include positive book reviews prominently on book retail websites to inspire consumer confidence in purchasing your book. Post short snippets of book reviews on your book cover. Share exciting new book reviews with your growing fan base on social media. Post book reviews on the news page of your author website. Share the news of your book reviews with friends on writing forums or private email lists. Include book reviews in any marketing materials—including your book galley letter! Use an exciting book review as an excuse to host a great new fan-building contest. A great review is just one way to generate interest in your self-published book. If you approach book bloggers strictly with the narrow intention of asking for a review, you might be limiting the possibilities for your marketing. No matter how you decide to approach a book reviewer, be sure that you are enthusiastic, polite, and professional. Then no matter the outcome, you’ll be able to rest easy knowing that you gave your book its best shot. 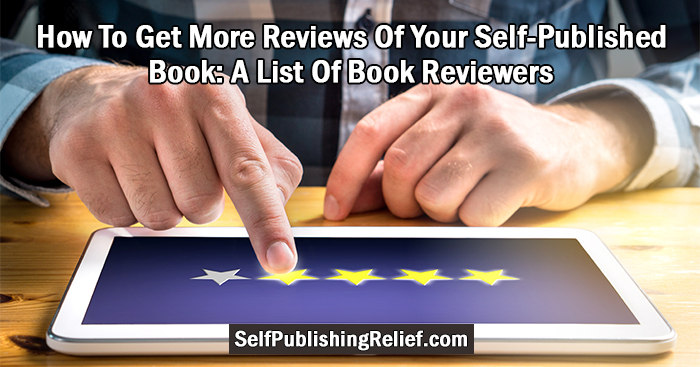 READ MORE from Self-Publishing Relief: What can you do about unfavorable reviews of your self-published book? Writer, can you help us? What else do self-published authors need to know about seeking out book reviews? Please leave your advice or questions in our comments section.